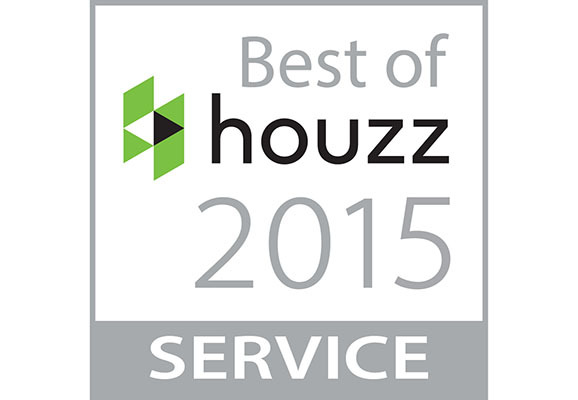 Highland Park, IL January 20, 2015 – Dream Kitchens, Inc. of Highland Park has been awarded “Best Of Houzz” for Customer Satisfaction by Houzz, the leading platform for home remodeling and design. The 23-year old kitchen and bath design studio was chosen by the more than 25 million monthly unique users that comprise the Houzz community from among more than 500,000 active home building, remodeling and design industry professionals. “With 35 years of experience gained in designing restaurants, bars, and bakeries, today we specialize in designing kitchens from a cook’s perspective”, said Rick Glickman, president and owner of Dream Kitchens, Inc.
Dream Kitchens, Inc is a full service kitchen and bath design showroom. It uses state-of-the-art technology that allows its clients to see their project in photo-realistic 3D images, on a large screen TV, before they buy. The company offers a one-stop shopping experience including cabinets to fit any budget as well as tile, lighting, counter tops, plumbing, hardware, appliances and accessories. The company’s recently updated showroom displays kitchens in various styles, along with tile and accessories for both kitchens and bathrooms.